Like that title? I'm sure some of you are probably thinking, "Too bad they didn't offer course in college? I would've passed with flying colors." Hahahahaha. But this little history lesson isn't about recording one's own personal drinking history. LOL! It's about the history of booze itself, more specifically Bourbon whiskey. 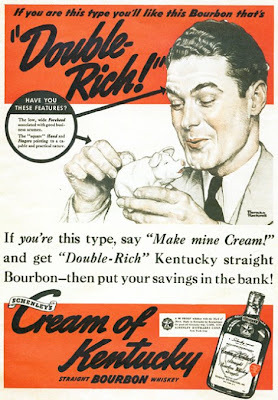 As a continuation on the previous post's theme, I decided it would fitting to write a little piece on the history of Bourbon whiskey, & in the process, learn something about a subject that, only just moments ago, I'd professed to know next to nothing about. Have to say that I learned a lot through my research. And no, not THAT kind of research! ;-) I mean actual research, as in books & online references. But what you might NOT know is that Bourbon whiskey did NOT actually originate in Bourbon County, Kentucky, as it's so commonly thought, but rather in another county in Kentucky altogether. And no, I am not playing some kind of inane April Fool's trick on you, even though April is still almost 2 1/2 weeks away. Yes, I do realize that most of the world refers to Bourbon county, Kentucky, as "the birthplace of Bourbon whiskey." In fact, if you google the word "Bourbon whiskey," you'll see several of these erroneous references to this supposedly "well-documented fact," plastered all over the internet (i.e., Wikipedia, etc.) & probably other offline sources as well. Now, while it IS true that Bourbon whiskey has been brewed in Bourbon County for quite a long time, this fact was purely coincidental & had nothing to do with its true place of origin. 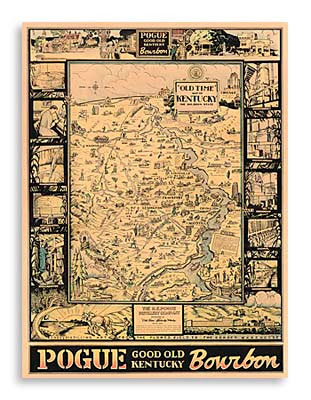 Furthermore, the distilling of whiskey was no mean an exclusive practice of the region. According to historians, by the time Bourbon county came into being, there were already several distillers throughout Kentucky who were well-versed in the art of making whiskey. Even though I'm sure it'd be much less of a bother for people to go on believing the less-complicated, albeit fallacious, version of this story -- it'd certainly be a whole heck of a lot easier to remember, & at first glance, appears logical enough -- it would be irresponsible of me or anyone else to suggest otherwise. But let's return to our story...... So, if Bourbon whiskey didn't originate in Bourbon county, then why do people still associate it with this area? What gives? 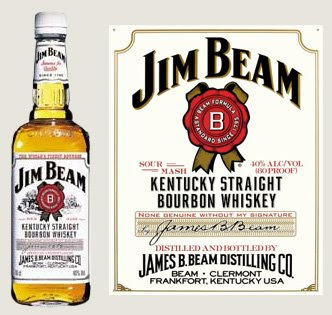 Where did the name "Bourbon whiskey" really come from? Well, all shall be revealed very shortly, I promise. It all began with a region once referred to as "Old Bourbon" & the early exportation practices of one of its most popular products, whiskey. "Old Bourbon" was a term originally used to describe the geographic location of the original Bourbon county as it was first established in 1785, which encompassed a vast region of Kentucky, (basically all of the land to the north, east, & southeast of Lexington). (This area was named after the French royal dynasty, The House of Bourbon, to demonstrate America's gratitude for their military aid during the Revolutionary War.) This area was later sub-divided into other, smaller counties. (To give you an idea of just how big this county once was, consider that 34 modern Kentucky counties were once part of the territory originally delineated as Bourbon county.) 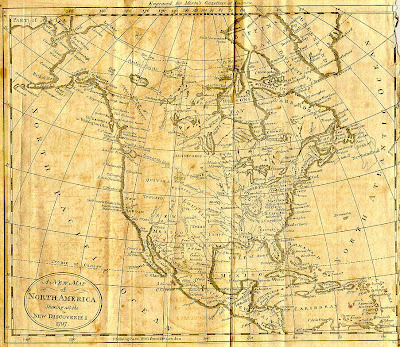 In the late 18th century, any barrels of whiskey from this general region were labelled as "Old Bourbon," regardless of their specific location within this territory. The stuff which came from this area was generally regarded as the best. Around this time, whiskey also became the region's most important export, & out of financial necessity, farmers often found themselves resorting to the practice of distilling their crops as a way to stay economically viable. However, distilling wasn't done merely for the purpose of basic economic survival; it was also clearly a highly profitable venture, and so, not surprisingly, the whiskey business soon began to flourish. At the turn of the 18th century, there were more people distilling whiskey than you could shake a stick at, & pretty soon everybody & their grandmother was trying to get in on the act. 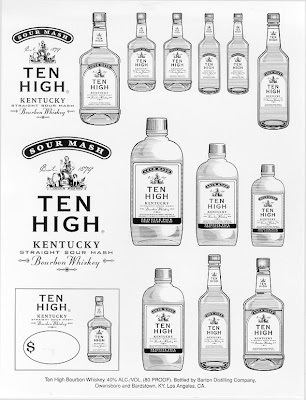 So eventually, people stopped referring to "Old Bourbon" as a geographical region, & the term instead became synonymous with the Bourbon whiskey product itself, as distillers in various other parts of Kentucky soon also took up the practice of labelling their barrels as "Old Bourbon," regardless of where it came from. Hey, they knew a good thing when they saw it! The fact that the name of this distilled beverage has little to nothing to do with its true geographic origins wasn't about to stop these guys either. The way they saw it, it was just savvy marketing. 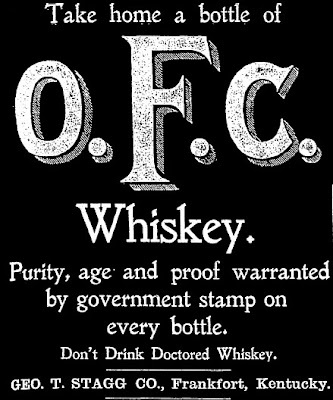 Anyhow..... By around 1840, the first descriptor ("old") was dropped & it just became known as "bourbon." (For some reason I'm very tempted to geek out & now find it difficult to restrain myself from reciting that infamous HHGTTG passage which begins, "Oh don’t give me no more of that Old Janx Spirit...." Any clueless people, please simply disregard the reference!) As I was saying, pretty soon people everyone had taken to calling their whiskey "bourbon," & it became rather confusing; so something had to be done about that! To distinguish the various types of whiskeys, the definition of "bourbon" was restricted to whiskeys that were predominately corn-based, in order to distinguish them from the other types of grain-based whiskeys like wheat & rye. So why do people still persist in thinking that Bourbon whiskey comes from Bourbon county, Kentucky, even to this day? In the end, the real truth of the matter is this: Over time, much of the prior collective knowledge about the history of Bourbon whiskey was either forgotten or lost to the annals of history. And, as is the case with the passage of time, decade after decade went by, & after a good long while, the people who knew that sort of knowledge firsthand had pretty much all died out. There were suddenly a lot of people around who weren't at all familiar with the history of the region or the true origins of Bourbon whiskey. 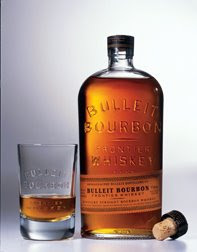 Anyhow, due to the aforementioned reasons, people, in general, through basic ignorance or lack of curiosity about the heritage of the region, just began to assume that Bourbon whiskey was originally invented in Bourbon County, Kentucky, even though the association was, in truth, quite false & there was little supporting evidence to back up these foregone conclusions. In fact, I wouldn't be at all surprised if this myth persists to this day. (I imagine that perpetuation of such a falsehood could be, in varying turns, either deliberate or inadvertent, depending on the extenuating circumstances.) And, thus ends our little history lesson for today. Phew! Obviously you're somewhat of a whiskey enthusiast. Any plans to write up any bourbon reviews of your own? I've just started and found that there aren't that many sites doing it. Could always use more! Thanks, Brooklynblue! Glad you enjoyed it. So as you can see, I really wouldn't be the ideal candidate for writing up bourbon reviews, as I wouldn't know the first thing about them, other than some of the label names. Heheheheheh. But anyhow, thank you for your enthusiastic commentary! I enjoyed reading what you wrote & will certainly check out the link you posted. Thanks for stopping by! Hope you found some recipes that interest you. Ah, gotcha. Your blog popped up in one of my Google Reader topical search feeds. I'll be sure to click around and check out a few recipes. My wife and I are both vegetarian and foodies as well, so we do a lot of cooking at home. I'm sure I'll find something new to try here!